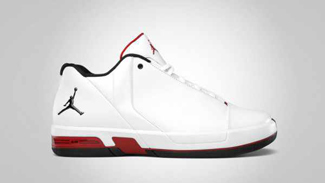 The Jordan TE 3 Low has quite been a fixture in Jordan Brand’s model lineup every month and this time, this simple but elegant shoe will be coming out again anytime this September 2011. The Jordan TE 3 Low, which is the latest addition to the Jordan Elite model family, will come out in Stealth/Black – White, White/Black – Varsity Red, White/Varsity Royal – Black colourways this month. All three colourways are impressive so if you are looking for a shoe that will not only make you look good inside the hardcourt, you must grab one immediately after its release! Three Colourways of Jordan Sky High Retro Low Coming Out! Another Jordan BCT Low Coming Out next Month! Jordan Sky High Retro TXT Low Making Noise! Jordan Sky High Retro TXT Low “Denim” Coming Slated This Month!